On August 27th, 2012 — two weeks after she died, and after nine months of trying — the State of Florida Department of Children and Families finally approved my mother’s application for Medicaid. After more than nine months of red tape and phone calls, it appears that the State of Florida finally approved my mother’s Medicaid status two weeks after her death. I am wondering if my sister and I (or “the estate of Kathleen Gagne”) are entitled to any of these Medicaid funds, for example to help defray the cost of the cremation, mortuary services, autopsy, and / or any of the other expenses. Do you know anything about this at all? Or do I need to contract a different type of attorney to help me deal with this type of thing? 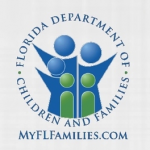 I attached to the email a PDF copy of the letter from the Department of Children and Families. I have no experience dealing with this issue so I don’t know what may be covered.